ALEXANDRIA, Va. — West Ada district Superintendent Mary Ann Ranells was named as a finalist Monday for the 2019 National Superintendent of the Year award. This marks the 32nd anniversary of the American Association of School Administrators program, which honors school leaders nationally and internationally. Ranells is the Idaho Association of School Administrators’ 2018 superintendent of the year. The AASA will announce the national superintendent of the year at its National Conference on Education, Feb. 14-16, in Los Angeles. Curtis Jones Jr., Bibb County School District, Macon, Ga. The finalists will have an opportunity to meet the national education community during a Jan. 10 news conference at the National Press Club (Zenger Room) in Washington, D.C. Leadership for learning – creativity in successfully meeting student needs. Communication – strength in personal and organizational communication. Professionalism – constant improvement of administrative knowledge and skills, while providing professional development opportunities and motivation to others on the education team. A $10,000 college scholarship will be presented in the name of the national superintendent of the year to a student in the high school from which the superintendent graduated, or the school now serving the same area. Ranells has served as West Ada’s superintendent for nearly three years and has 44 years’ experience in public education. She taught in the Shoshone, Wendell and Nampa school districts. 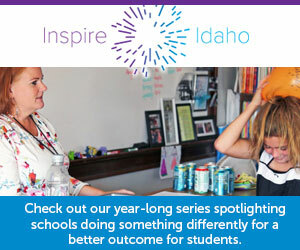 In Nampa, she became the director of curriculum and instruction, a role she next filled in the Twin Falls School District. Ranells served as deputy superintendent from 2001-04 for the State Department of Education under Democrat Marilyn Howard. She spent six years as the superintendent of the Lakeland School District in Rathdrum. In 2013, she served on Republican Gov. Butch Otter’s Task Force for Improving Education. Ranells is married to Bob Ranells, superintendent of the Wallace School District. She has a bachelor of arts from Idaho State University, a master’s degree in education from the College of Idaho, and an education specialist and doctor of education in educational administration from the University of Idaho. Growing school districts can impose the levies without getting voter approval. And in one district, trustees bypassed a vote on a $1.8 million levy.